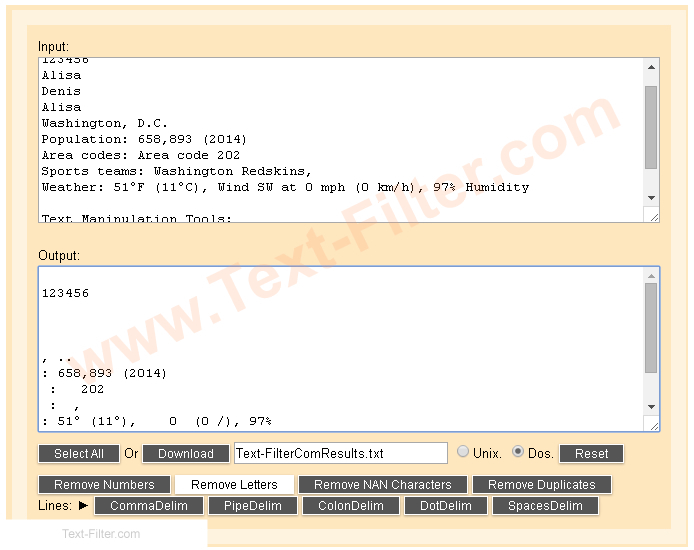 ï»¿ Free Comma Separating Tool, Comma, Pipe | Colon : Dot . 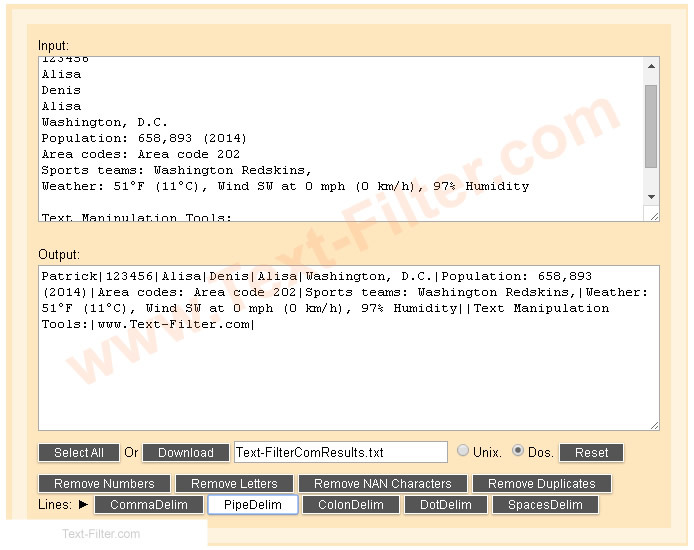 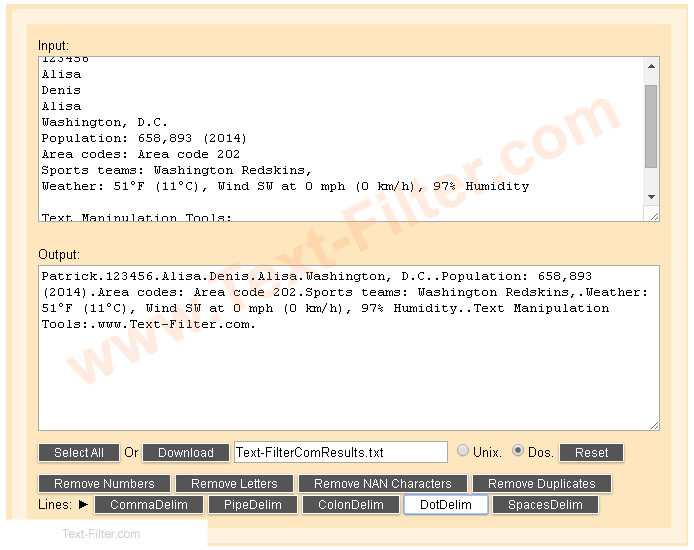 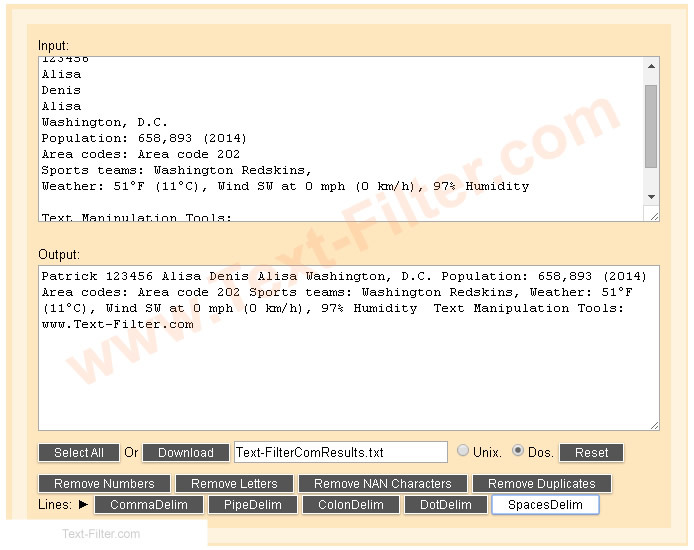 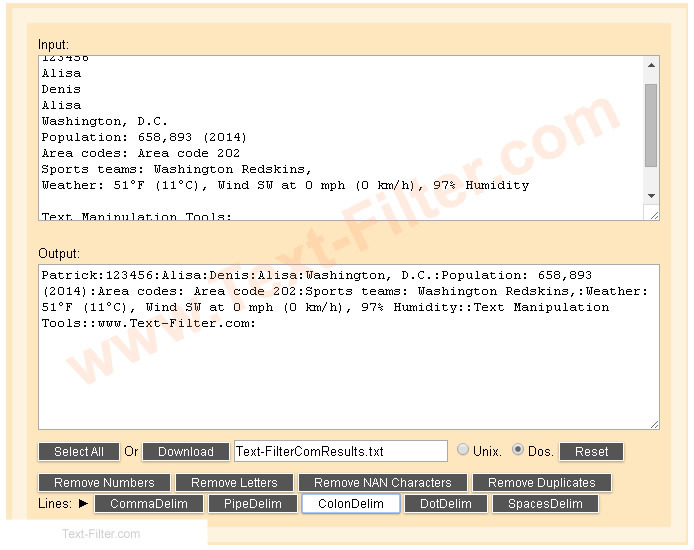 Spaces Delimited Text - Separating Tool Excel Online, Free Online. 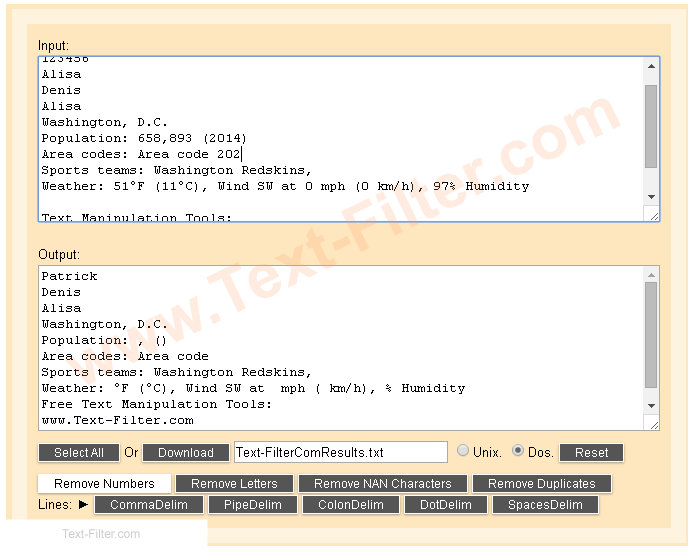 Free Online, Comma, Pipe, Colon, Dot, Spaces Delimited Text - Separating Tool. 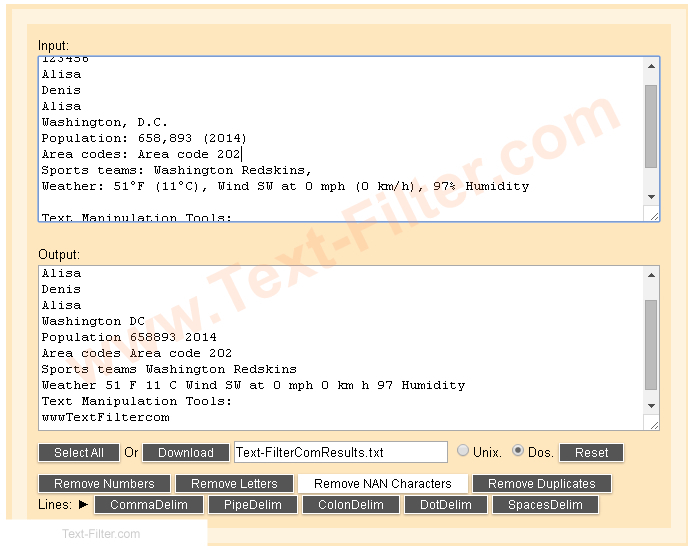 Remove / Delete Numbers, Letters, Characters & Delimiter Separating Tool. 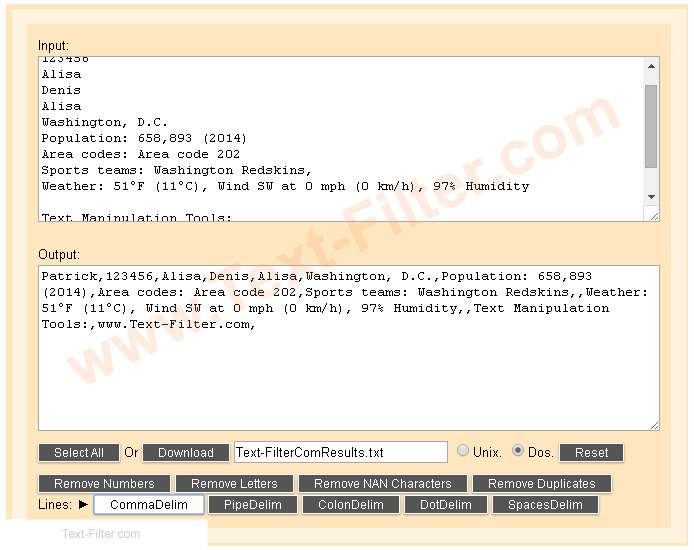 Remove | Delete | Empty | Blank | Lines.